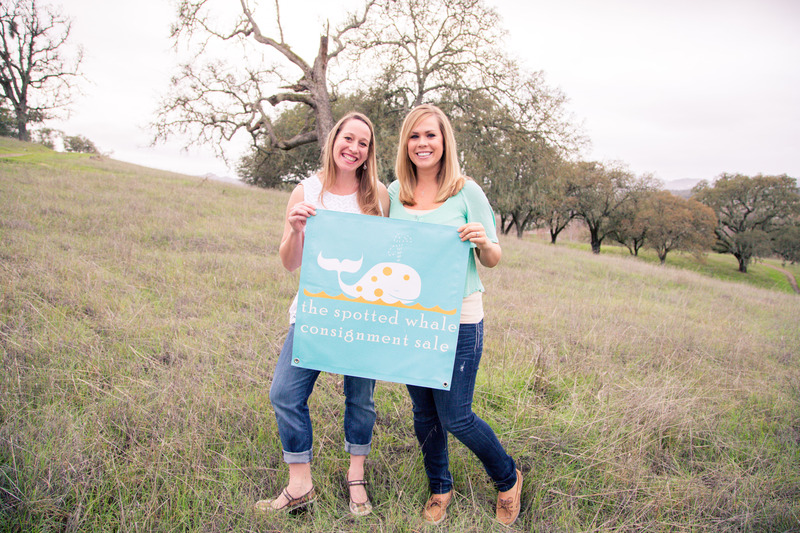 We are Maryanne and Amanda, friends and new co-owners of The Spotted Whale Consignment Sale. We met when we taught at the same high school and became fast friends. Maryanne has been a volunteer for every Spotted Whale sale except for one (when her youngest was two days old!) and loves selling and buying great gear for her two daughters at a fraction of the price. When her oldest was born, she chose to stay at home while her kids are young and is excited to take over this amazing business that provides such a service to the families of our community. Amanda grew up in San Luis Obispo and always knew that after college, she wanted to move back here to raise her family. She believes the Central Coast is the best place on earth and is thankful her family is able to live here! She loves shopping Spotted Whale deals for her one year old girl and is excited to start shopping for her son due in February! We are both committed to seeing The Spotted Whale continue to provide great deals for all families on the Central Coast and the opportunity for families to make some extra money. Who doesn’t love to shop for their kids, clean out their house of unused items, and make some extra money? We are excited for this opportunity and look forward to meeting you at our next sale! Yes please fill out all applicable questions on the Car Seat Waiver. If you elect to donate, what charities does the items go to? Great question! We donate any unsold and unpicked up items to Lifeline Pregnancy Center. They give items to local families in need. How does someone go about selling items at your sale? Register as a consignor under the consign tab, enter your items and prices, print out and attach the tags it will generate for you, drop off your items next Thursday or Friday depending on the drop off appointment you select, and then either pick up or let us donate your unsold items. You earn 60% of your sales, or up to 70% if you volunteer. There are more details under the consign tab to help with pricing and tagging.